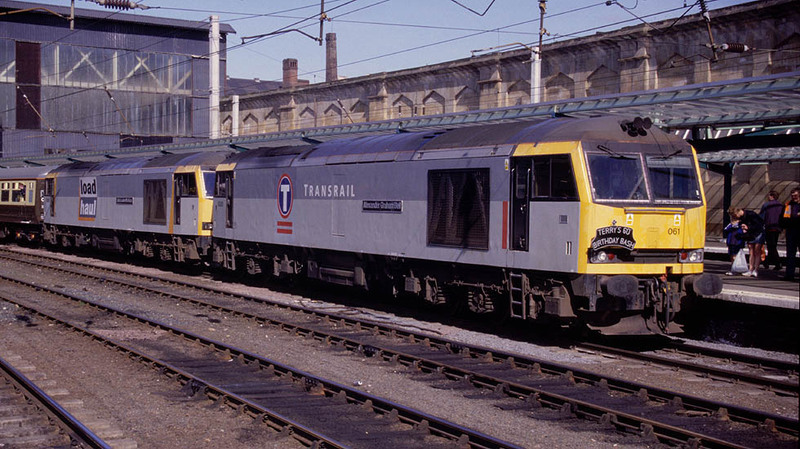 60061 Alexander Graham Bell + 60070 John Loudon Macadam wait to depart with a Pathfinder Tours' charter to Newcastle having originated at Derby. We have arrived! We have travelled, not hopefully, but photographically,experiencing the aesthetic delights of one of Britain's most famous stretches of railway. It should never have been built but for intransigence and fierce competition between private railway companies. It is a survivor, its future is secure, but let's not allow ourselves to bathe in the pool of complacency, the clouds of closure could blow this way again, we must be ready with our umbrellas of protest and common-sense, should the black clouds of closure once more turn to rain! This is a railway truly worth preserving and quite enough of mixed metaphors!